Throughout its history, MFFM has partnered with other organizations around the state to leverage our collective capacity. With just two full-time staffers and a part-time assistant, these collaborations are vital to making our work possible. Below are some of the many partnerships that are currently active. Partnered since 2014 to support the Norway Farmers’ Market’s SNAP program and provide outreach and promotion for the market. MFFM is a member of the FMC and encourages Maine farmers’ market members as well to use the national network as a resource. Our organizations work together as part of the Maine Local Foods Access Network, with additional joint projects, including support of the Maine Harvest Bucks SNAP nutrition incentive program at farmers’ markets in Washington and Hancock counties. Beginning Farmers’ Resource Network (BFRN) of Maine provides resources for new farmers looking for “how to” information. MFFM staff regularly participate in BFRN events. The Maine Harvest for Hunger program assists interested markets in setting up End-of-Market Gleaning Programs, a model developed in partnership with MFFM. We encourage markets to contact their local Extension office to start this program at their markets and can provide some technical assistance to both Extension staff and markets to help implement the program. The Master Food Preserver Program provides food demonstration outreach activities to farmers’ markets throughout the state. 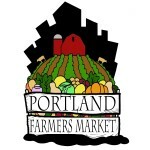 In other capacities, Extension staff support farmers’ market food access programs. MLFAN is a network of organizations working on food access issues. The groups primary current project is administering the Food Insecurity Nutrition Incentive (FINI) grant program (now known as Maine Harvest Bucks). Various network partners oversee different market types. Currently MOFGA works with CSA farms in the MHB program; Cultivating Community and St. Mary’s Nutrition Center work with mobile farm stands, and MFFM works with farmers’ markets. Under a separate FINI grant, Maine Farmland Trust works with retail sites (such as food hubs and co-ops). MFFM and MFT have collaborated on a wide range of projects in the past and continue to be deeply partnered as lead market type administrators for Maine’s Food Insecurity Nutrition Incentive programs and as members of the Maine Local Foods Access Network. MOFGA and MFFM have partnered on various initiatives over the years, including participation in annual Farmer-to-Farmer conferences, joint presentation on local foods SNAP access at the Maine Agriculture Trade Show, and innovative collaboration between market types in the Maine Harvest Bucks nutrition incentive program. With the launch of a new SNAP program at the Kittery Community Market, which is situated a short distance from the New Hampshire border, Seacoast Eat Local became a crucial partner in supporting this new program. As the state’s implementing agency for SNAP Education programs, UNE SNAP-Ed administrators and their talented network of SNAP Educators offer invaluable support to the dozens of SNAP-friendly farmers’ markets with which we work. Farmers’ markets are a key focus of Maine’s SNAP-Ed program and we are able to collaborate to help SNAP Educators find success in working with their local markets. MFFM initiated a partnership with SASWCD in winter 2015-16. Together the two organizations continue to support the Houlton Community Market with SNAP, WIC and a nutrition incentive program. Since 2012, MFFM and SMNC have partnered on various projects that help low-income community members enjoy nutritious local food. SMNC currently operates the Lewiston Farmers’ Market SNAP and nutrition incentive program. 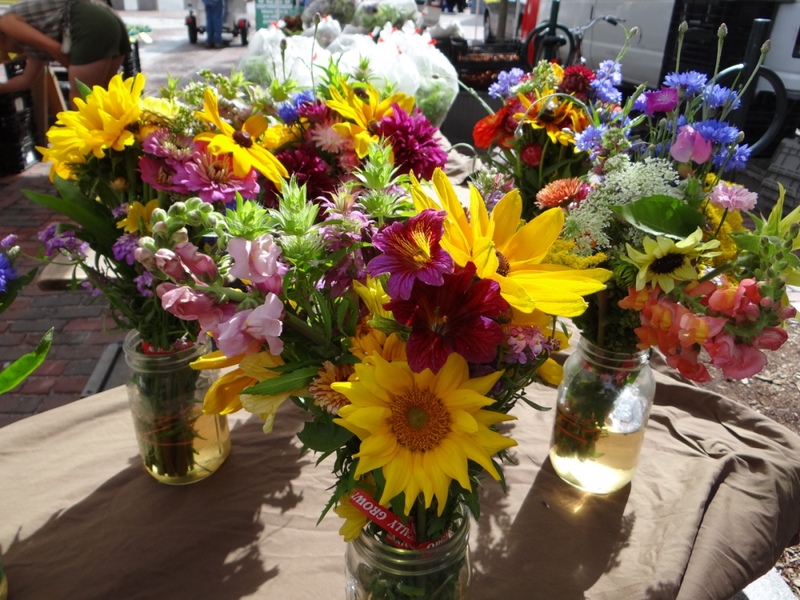 MFFM works with the DACF to promote farmers’ markets and related projects. The SCEC and MFFM have worked together on the Washington County Farmers’ Market Trail project and will continue to collaborate to support the markets of Washington County. MFFM and UBR began a partnership in 2016 to support SNAP and nutrition incentive programming at the Unity Farmers’ Market. MFFM and WHRL began a partnership in 2017 to support low-income food access at the Milbridge Farmers’ Market. MFFM is part of Wholesome Wave’s National Nutrition Incentive Network, administering the state’s Maine Harvest Bucks Food Insecurity Nutrition Incentive Program at farmers’ markets around the state. Wholesome Wave was – and continues to be – instrumental in the development of the Maine Local Foods Access Network. We built a partnership with YCCAC in summer 2016 in order to provide free transportation to SNAP shoppers to and from the Sanford Farmers’ Market on their local transit bus system.